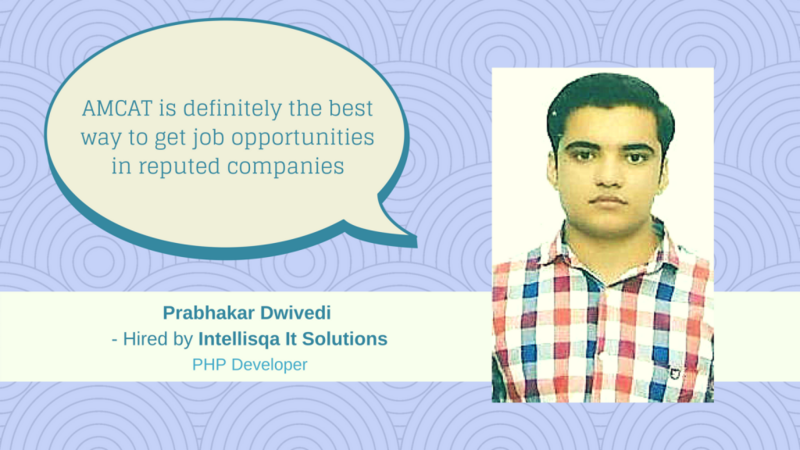 In this AMCAT Testimonial, we meet Prabhakar Dwivedi, a 2016 graduate placed as a software developer in Intellisqa IT Solutions - and how he made it there. 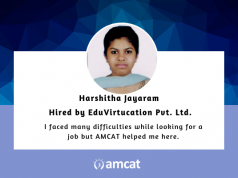 Learn how Prabhakar Dwivedi excelled his job search after giving the AMCAT Test. The link between the AMCAT Test and access to IT jobs in reputed companies is an old one and often cited as a good way to get placed in such a position. Our achievers’ diary for today is an example of this link. In this AMCAT Testimonial, we meet Prabhakar Dwivedi, a 2016 graduate from the United College of Engineering – who has been placed as a software developer in Intellisqa IT Solutions. And hear how he made it there. After he received his scores from the AMCAT Test, it took barely 15 days for him to receive his first job interview call. The call from Intellisqa came soon after. 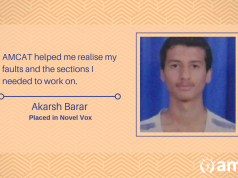 Prabhakar recalls the interview process for the company. “The interview process was quite good and smooth. At Intellisqa IT solutions, the interviewer judged me on different levels of my knowledge. Congratulations Prabhakar, for cracking your fresher job. We hope it leads you towards all that you expect from your career. 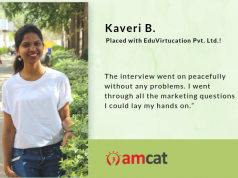 And for those who are taking cues from your story – we hope it helps them decide towards scheduling an AMCAT Test for themselves.